Top experts share tips on how to sidestep some top seasonal ailments so you can savor your summer days. Summer’s here, bringing warmth and relaxation. Yet long, light-filled days at the beach often also mean overexposure to the sun’s dangerous ultraviolet (UV) radiation. 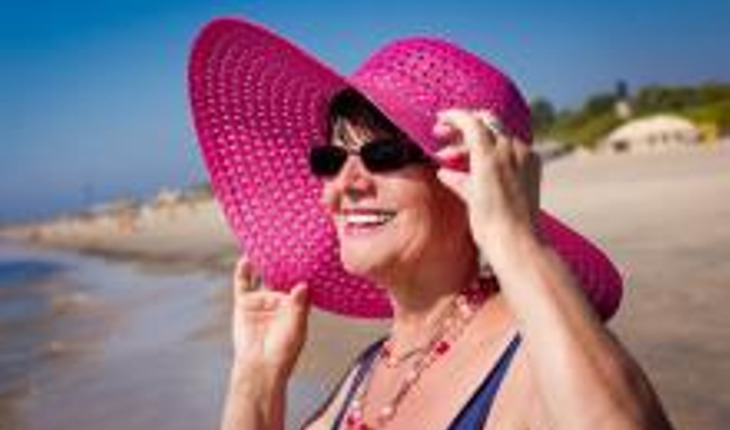 “Skin cancer affects more than two million Americans each year,” says Dr. Susan Stuart, a board certified at La Jolla Dermatology in California. According to Dr. Stuart, to protect yourself from harmful UV rays, you should try to stay out of direct sunlight during the peak hours of 10 a.m. to 2 p.m. Cover up by wearing hats, sunglasses, and long-sleeved-shirts, or hanging out under shade – and of course applying sunscreen. Dr. Stuart recommends sunscreen with broad-spectrum (UVA and UVB) protection and sun protective factor (SPF) 45. “Remember to reapply sunscreen at least every 1 to 1/5 hours and after swimming, sweating, or toweling off,” advises Dr. Stuart. It’s the season for picnics and BBQs, but eating outdoors in extreme heat presents a food safety challenge. Bacteria in food multiply faster at temperatures between 40°F and 140°F, so summer heat increases the risks of food-borne illnesses exponentially. Here are some tips from Franci Cohen, certified nutritionist in New York City, to ensure safe bacteria-free eating this summer! *Wash hands when handling any food, but particularly when handling raw fish, meat and poultry. *Do not use a plate that has had raw meat/fish on it, until it has been thoroughly washed with soap. *When marinating raw meats, discard any unused marinade. Do not refrigerate for later use. *Cook foods completely. Summer is not the not time to be experimenting with sushi or rare meats when eating outdoors. Meat should be cooked to 160 degrees Fahrenheit, and poultry should be cooked to 165. *Always refrigerate leftovers as soon as possible-within 2 hours is best. In heat of 90 degrees or more, cooked food should be refrigerated within an hour of serving. Mosquitos, Bees, Wasps – Oh My! *Wear light colored clothing. Mosquitoes are more attracted to dark colors. *Time your outings. Stay indoors during dusk and dawn – that’s when many breeds of mosquito are at their peak biting time. *Avoid flowery perfumes. Mosquitoes love nectar from flowers almost as much as they do humans, so stick with a less floral fragrance for the summer. *Steer clear of beer and soda. Beer and soda are mosquito magnets – the bugs are attracted to the carbonation. It’s not confirmed if the extra biting also happens with other alcohols – but just to be safe, keep the bottles indoors. It’s ironic that at a time when one wants to bare the most skin, pimples and acne seems to appear out of nowhere. For some people, summer is a tough time for skin due to the sun and heat. “In general, sweat doesn’t clog pores, but it may aggravate existing acne breakouts,” says Dr. Susan Stuart. According to Dr. Stuart, acne breakouts are not usually based on seasonal conditions. But in the warm-weathered months coming up, there are a few things you can do to prevent acne from rearing its ugly little whitehead in the first place. *Stay away from heavy products and creamy sunscreens. One thing that can contribute to acne in the summer is using oily products. That, in combination with being outside sweating, can lead to clogging of the pores, followed by acne. Look for oil free, noncomedogenic or gel based sunblocks, and light oil free moisturizers if you need them. *Beating “backne”. The best way to treat chest acne and back acne would be to make sure that as soon as you come off the beach or finish a jog — or wherever you’ve been — that you get into a shower and wash off your sunscreen and sweat thoroughly with a benzoyl peroxide cleanser as long as you are not allergic to benzoyl peroxide. Salicylic acid washes work well too. Chemical peels from your doctor can do wonders to clear up the chest and back for beach season. *Treating individual spots. According to Dr. Stuart the best way to get rid of a individual pimple/cyst is to have your dermatologist inject it with a little bit of a cortisone. The procedure doesn’t work for everyone, though, so in those cases, try an over-the-counter benzoyl peroxide or salicylic acid gel, which can help dry up a breakout. As much as we embrace the warm, summer season, it can really wreak havoc on our hair from weather-induced frizz to scalps scorched by the sun’s intense rays. “Nothing is worse than having dry and damaged hair when you want to look your best during the summer season,” says Danny Jelaca, celebrity hairstylist and owner of a Miami salon. He has worked with Cameron Diaz, Naomi Campbell, Jennifer Lopez, Milla Jovovich, Catherine Deneuve, Denise Richards and Padma Lakshmi. *Humidity-Induced Frizz. Because hair is porous, the cuticle absorbs moisture, and when humidity is at its height, the cuticle swells and expands, causing the hair to spread, twist, and frizz. You can tame your tresses by investing in a hydrating, smoothing shampoo and conditioner as well as a silicone-based finishing product to seal in moisture. Also, refrain from over-styling your hair with blowdryers, curling irons, or flatirons, as too much heat damages the cuticle and leads to more frizz. *Burnt Dry Scalp. The scalp is one of the most commonly missed spots when it comes to sunscreen application because people incorrectly assume that hair serves as a natural barrier to the sun’s rays. The good news is you don’t have to sacrifice style by slopping on greasy sun block or covering your ‘do with a hat to get adequate protection. A myriad of hair-care products with built-in SPF, including leave-in conditioners, styling serums and hairsprays, have recently hit the market. Just remember to generously apply block to where your hair naturally parts and thus exposes your scalp. *Chlorinated Hair. Contrary to popular belief, chlorine doesn’t cause blonde, light brown, and color-treated hair to turn green-exposure to the oxidized metals in chlorinated pools do the damage. But regardless of its origin, greenish-tinted tresses are an undesirable side effect of swimming. However, you can easily stave off sage-colored strands by wearing a swimming cap. Consider the cap a fashion no-no? Invest in a clarifying shampoo that contains EDTA (Ethylene Diamine Tetra Acetic Acid) and use it immediately after jumping out of the pool. If you’re already victim to greenish hair, get it back to normal by combining a quarter cup baking soda, three mashed-up aspirins, and one cup of water and massaging into hair for a few minutes before shampooing. The outdoors and exercise seem to go together especially in the summer but heat and exercise can potentially be dangerous to your health. “Exercising outdoors in the heat should be approached with caution and planning,” advises Franci Cohen, personal trainer, exercise physiologist and certified nutritionist in New York City. f you exercise outside in hot weather, use these common-sense precautions to prevent heat-related illnesses. *Stay hydrated! Drink water before, during, and after your workout to avoid dehydration. Preventing dehydration is much healthier, and a more prudent approach (to exercising in the heat), than treating dehydration after the fact. Bring along a water bottle, water belt, or other hydration pack such as a camelback, and sip periodically throughout your workout. *Ease into hot outdoor workouts, and don’t push yourself too hard too quick! The excitement and happiness that come along with beautiful weather, can often drive is to push real hard real fast. In an uncontrolled environment with high heat and humidity, this can be a deadly combination. Exercise for less time and at a lower intensity then gradually build up to longer, harder workouts. Listen to your body, and don’t be afraid to take breaks if you need to. *Try to maneuver your schedule, so that you can exercise outdoors during cooler times of the day. Early mornings or late evenings (when the sun is not so strong) tend to be the best. *Run in shady places like the woods, or breezy places like the beach. Running on congested Manhattan streets mid-day in high-heat is definitely not the way to go. *Wear light-colored and lightweight clothing that’s made from moisture-wicking fabric that will keep moisture away from your skin and dries quickly. Steer clear of black clothing, or shiny metallic leggings, as these will attract heat and raise your body temp to unsafe highs. Avoid cotton t-shirts and shorts since they’ll get sweaty, stay damp, and make you feel hotter. Wear wicking socks and lightweight sneaks to keep your feet cool and dry, and to prevent blisters. Finally, wear a moisture-wicking hat that will keep sweat out of your eyes and protect your head and face from the sun, while offering some shade as well.